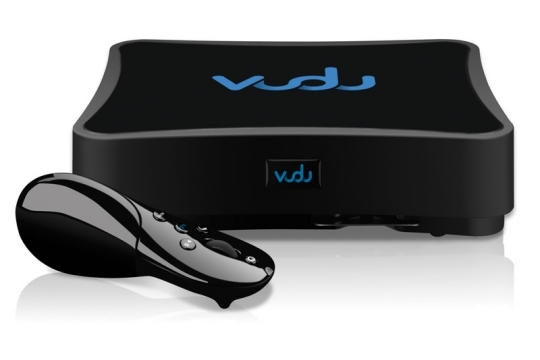 Vudu has just announced the price slash of its famous HD (High Definition) video set top box by 25 percent this week due to competitive market situation. The new price of around $295, is quite a significant adjustment from its original retail price of $399. This has made it more competitive to what Apple TV has offered to consumers so far. The new price will be effective immediately and for those that have just bought the set top box from Vudu last month (within 30 days of the announcement), there will be a $100 rebate voucher given to compensate the price difference. The price slash is a direct response to recent Steve’s announcement with new firmware upgrade that able to pack more services into its Apple TV set top box. Also, Apple TV price has been gone down to as low as $229 (for 40GB version) from $299 previously. So, in order to stay competitive, there is almost no choice for Vudu to take this action immediately. In terms of performance, Apple TV seems to be able to do more by having the capability to access YouTube, the famous sharing website and share the media contents by streaming directly to your digital TV. This is a good news to everyone especially for those that are planning to get one recently. And even if you don’t have plan to get one, it could be a right time to consider adding this powerful gadget in your digital home.